Look at post #1 in this thread. Look at the PDFs chart displayed for the number and order of characters. That's a 1-off. You always see the "Gen" code on them. Your welcome. 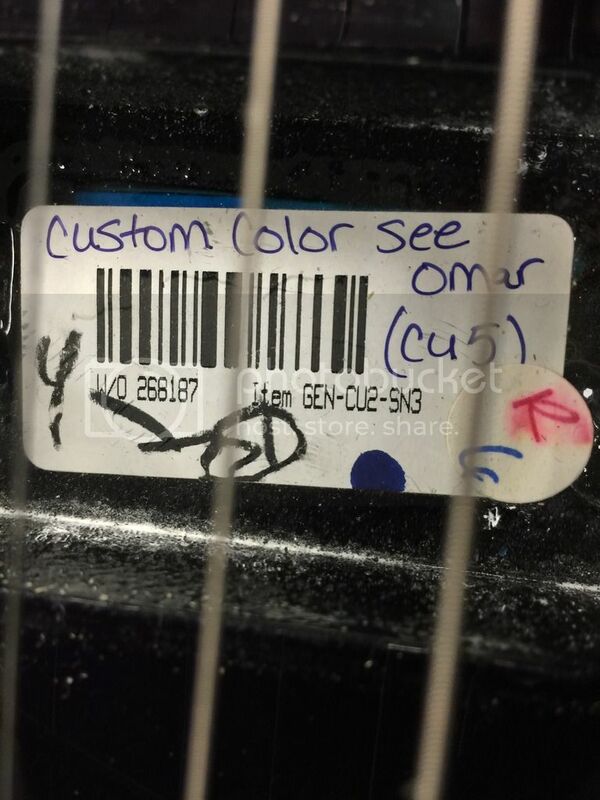 Omar does a lot of 1-off's, and I have quite a few. The letters after "GEN" are remarks. They might refer to the model or not. In this case, it looks like the guitar is a Custom 22. I have no idea what SN3 refers to. Three pick ups, perhaps? 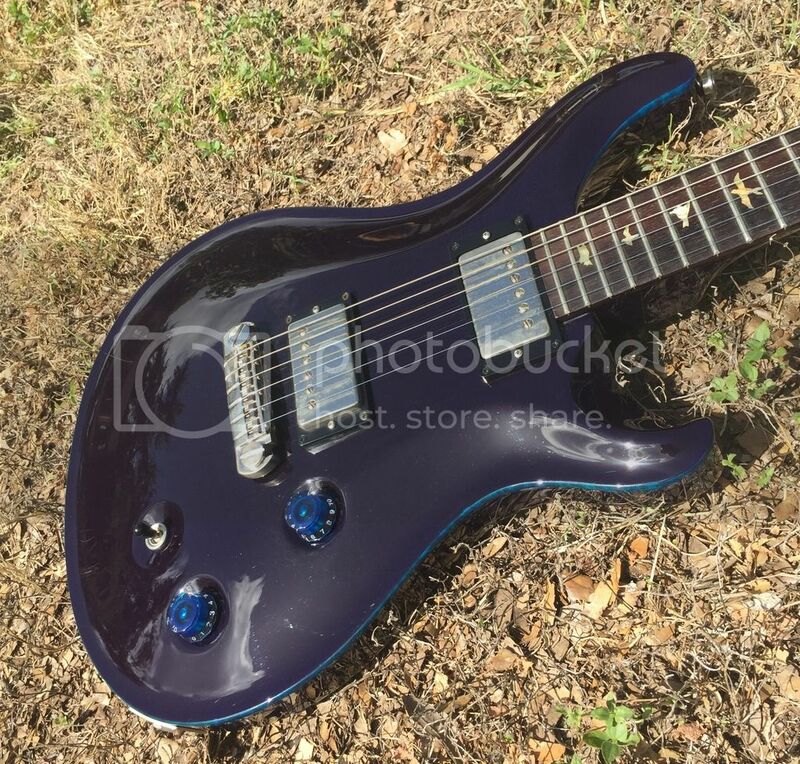 It has 2 humbuckers, dragon I bridge and McCarty with coil tap. And yes it's a custom 22, I'm curious as to what the finish is. I emailed serial to PRS and they said its from the artist stock warehouse. Didn't give any info on finish. Dusty Chalk and LJD like this. It's cool, whatever it is! Hi, just to add my Custom 24 info. Instead of CU the code starts CM. I think it was a special run from 2010 with 10 top headstock. Everything else works fine. It includes all posts since you updated the JS the last time (except the last post by Scott C). So you can just copy/paste it onto the server and it should work (don't forget to change the link to the forum ). Additionally to the update, I've removed the wood from the top spec ("Figured Maple" --> "Figured") as the top wood has got its own digits. Fingerboard code "D" is "Unknown Rosewood" for now and color code "XR" is "Special Run" (there's "CC" for "Custom Color" BTW), as both doesn't seem 100% clear. It's stonkin', whatever it is. Thank you for writing to Paul Reed Smith Guitars. It appears you have a Custom 24 in Burnt Almond, the CM would indicate a Custom with a Maple headstock veneer. I believe there were 50 produced worldwide. Thank you for your continued support of Paul Reed Smith Guitars. I hope you find this information helpful. A bit more info on the CM code on mine from PRS support: [...] the CM would indicate a Custom with a Maple headstock veneer. Here are some data points that can help fill some gaps in the next update. Electronics:Could not find Electronics 'K' - I guess this will be known as 594 wiring. Classic "G" style 4-knob. Here's the MODCAT for the first production 509 that I have seen, FNM2F-HSI63_CB_N2329. It a charcoal grey over at Sweetwater. Here's the MODCAT for the first production 509 that I have seen, FNM2F-HSI63_CB_N2329.